We are all surrounded by people. We work with them, we socialize with them daily. We also need a break from them and traveling solo seems to be a perfect way to know yourself better, leave your comfort zone and go into the wild, get to know other people, hike, dance, learn to cook, smile, talk to strangers, eat new food and see the sunrise on the beach. Wise words. Being alone on the road gives you an opportunity to gain valuable experience about the world, people, food, foreign customs and traditions. You stop being ignorant and start appreciating things you might have never noticed. You open your heart. You become more of a listener than speaker. Why should we all travel solo at least once a year? Never be afraid of traveling solo. That will make you more confident and independent. Zhangjiajie, China. Most of “steady Eddy” people can’t imagine themselves traveling on their own so they always take their friends with them, partners or join the organised group trips. Why? There are many reasons such as It’s scary! I don’t want to feel lonely! I need a buddy to have a beer with! Who would take pictures of me!? (that’s me). Nevertheless, traveling solo is getting more and more common as it can be a lot of fun and more unique experience for adventure hunters. Actually, the advantages of traveling solo are enormous. Do one thing a day that scares you. Banaue, the Philippines. Once you set off on a solo journey to unknown place, you start getting to know yourself much better. You are on your own. You start listening to your heart and you are finally able to achieve some level of internal equilibrium and focus of mind. You start to discover yourself once again – things you are capable of, things you are afraid or scared of. You face your fears and you defeat them. There is no stress around and you feel alive. Meet people. Speak to strangers. Have fun. Observe. When we travel with companions, we tend to stick to that group of people and even though we try our best to get to know new people, the dynamics and interactions will certainly not be as deep and fulfilling. I’ve noticed that when I am on my own on the road, I’m definitely more eager to chat with locals, meet travel buddies, team up with other travellers and generally reach out more in order to socialize. It seems so natural. Traveling solo definitely enables you to speak directly to some locals and stop being shy with people. In this way, you can make new friend and gain valuable insider knowledge about wherever you are. When you travel solo, people are more open and direct with you. Thus, you can experience more new things than you would when traveling with someone. People will invite you home and welcome you warmly in their place. They will share everything they have with you, sometimes giving you more than they possess. You will notice their smile and small gestures you often ignore when traveling with someone else by your side. Take the risk. Embrace the world. Feel free. Bali, Indonesia. When you travel on your own, you are definitely more flexible with time, next destination and decisions you make. You team up with travel buddies you like the most and end up expanding your travel plans. You are free to change your plans whenever you want to. You are free to sleep as long as you want to. You can hitchhike, hike, dance on the beach, change your destination at last minute without stress and compromises. When you travel, you are open to change and you will welcome it with open arms. No more fitting into a group’s agenda. No more explanations or disappointing anyone. You just follow rhythm, heart and mind. In fact, when traveling solo, you will never feel lonely. Once you get to any hostel or hotel and you will see plenty of solo travellers who are in the same boat. You all travel for the same reasons, you all miss home at some point and you all want to experience new things. It is incredible to see how much you have in common with people who you have not met before. You get to know each other, you make friends and keep in touch. We meet once again after some time in a different place and you all laugh at all of these awkward and unforgettable moments you shared together. What does not kill you, makes you stronger and that’s so true. When you are left on your own, you start fighting for what really matters to you. You overcome the fear of heights, darkness, spiders or even new food. The more you travel, the less you fear. As long as you make regular solo trips, you will feel more confident each time, no matter what your fear is which is also a good excuse to travel regularly. Without a doubt, eating is one of the most enjoyable aspects of travel. Be it street food or in a restaurant. Once you start traveling solo, you also start appreciating food more and you will end up eating things that you would normally not eat at home. You become more adventurous with food. You can finally take in all the Thai pad thai, Italian pizza, Belgian macaroons and Chinese dumplings you find on your travels if you so desire without worrying about other people noticing! In most cases, you can find traveling solo cheaper than traveling with someone. Why? Nobody teases you with local delicacies so it is easier to resist the temptation and spend less money on food (my case). You are also more likely to buy less souvenirs and useless gadgets. More importantly, your travel companion might prefer more convenient and expensive way of traveling and it’s sometimes awkward to say “Sorry, it’s too expensive for me”. When you travel solo you might face various problems, make decisions and even take some risk on your own. All these situations will, with no doubts, make you stronger, braver and much more confident though. Being alone on the road is a great challenge and as we know the challenges make us grow stronger and wiser not only as travellers but also as human-beings. When traveling on your own you can learn many skills such as time management and decision making. How many times did you argue with your travel buddies? How many times did you have to meet him/her half-way? If things do not go well, the entire trip can be a miserable, drama-filled time you’d love to forget. There is no drama when you travel on your own. No arguments. No fights. Time for myself at Pagudpud beach, the Philippines. To sum up, we should not be scared to set off for a solo journey! For some people it might be a tough decision and a weird feeling for the first days of solo expedition, but at the end of the day you will not regret it as it’s much more adventurous and challenging, it shapes your personality and gives you enormous possibilities to test yourself. Have you ever travelled solo? How beneficial was it for you? 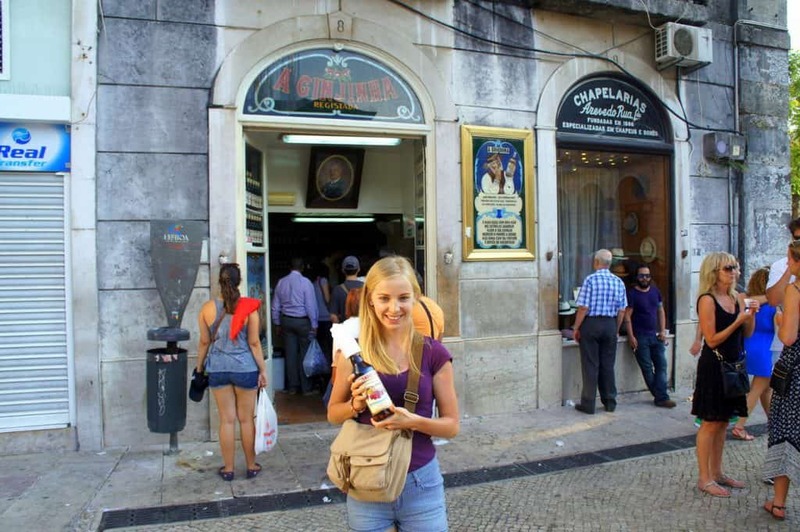 Next articleWhat’s Lisbon’s Friendliest Hostel? Goodmorning Hostel! I absolutely love traveling solo! It’s great to be able to do EXACTLY what you want and feel like without having to be considerate of other people’s interests. And I also think you spend more time getting immersed with the locals or chatting with other travelers, rather than just your travel companion. Absolutely. Freedom is the best feeling ever! I find myself having to meet in the middle all the time when travelling with a companion. Compromising can be a good thing to keep the peace, but I never thought about how I wouldn’t have to do that if I traveled solo! Great tips!! I agree. Me and Cez usually meet half-way when travelling :-). I still clearly remember my first solo trip. I went to Singapore for a week. It was so liberating to be able to do it all by myself, and I never felt lonely. It’s amazing how easy it is to meet other people while travelling. Thanks for sharing Andrea! Singapore is a great place to travel solo. I spent there a couple of days and I have such great memories from there! What an excellent and timely post, Agness! I’m on my first solo trip right now and I’m beginning to see all the advantages. It certainly gives you a lot more confidence and inner strenght! I’m so glad you are having a great time on the road. True – you never get lonely when travelling solo!! all true and great points. However, once you have a partner it’s probably not really on to do much solo travelling anymore :( unless they are really understanding I guess. But it’s not fair to leave them when you’re off having fun is it? I know, that’s the thing :). Great solo travel points. I traveled solo a bit when I was single. I did meet people and have wonderful experiences, but I really enjoy having the right travel partner and I do. I like to hear stories from people who travel solo. I love your points here, especially “discovering yourself.” OMG how important is that and how many of us do not get the opportunity to do that! I never really got the chance to travel solo because of a close-knit family I belong from. Although sometimes I feel that I should just set off on a plane to some exotic land. But I think the freedom and socializing when solo traveling are priceless too! So doing both alternately is best I guess, at least for me. But you’re right, there is definitely no reason to be scared of solo traveling! Thanks! I’m glad you agreed with what I am saying here. Exactly, there are no reasons to feel unsecured, scared or petrified! I leave for my first real solo travel experience (minus studying abroad) next month! I’m starting in China which is going to be scary, exhilarating, and ridiculous all at once. I can’t wait! Good luck Emily! If you need some help, just let me know! Thank you, Mike. Your support means a lot to us, you should know that. Although I have written quite a lot on solo travel on my blog, it is always refreshing and interesting to read a new perspective on the subject. Your last point ‘no drama’ brought a smile on my face! :) It is so true, and more than buddies, it is true with siblings. I remember my sis and I were in Melbourne a few years back and what a fight we had – tears, arguments, too much of a mountain out of a molehill…and the fact is that she’s the best sis in the world – we are so close – yet she is NOT the best travel companion! I was a bit scared too when I went on my first solo backpacking trip, but I never felt lonely!! great tips… I agree with you on them! I was traveling solo in India when I met my boyfriend… had I been with friends I would have never met him b/c I wouldn’t have been so inclined to talk to him and make friends! so there’s that ;) BUT now that i’m living in India with him, i don’t do near enough solo trravel :( you’ve inspired me!! Awwww didn’t know you met your partner in India! What a cool story! Totally agree with you Agness. There are great benefits to both forms of travel and being a solo traveller can become lonely if you let become so. I am so used to travelling solo it feels weird to have a colleague travel with me. Then it feels as though it can cramp my space. I’m very comfortable in my own company and do a lot of reflection whilst travelling. We all need that time for reflection. We recharge ourselves and reinvent ourselves. I’ve often thought of the virtues of solo travel and even considered writing a similar article from my perspective. Hope you are enjoying your travels. Absolutely love it. Mine is mostly time. I love to eat, but don’t spend an hour doing so. I also eat during down times. This means I can do a lot more in my day than most people who get hungry or tired. I have repeated the same trip I’ve done before with a partner and realized how much more efficient it is to be alone. Nevertheless, there are lots of benefits of traveling with someone. Generally, I feel like accommodation for a room split by two people is cheaper than 2 dorm beds. Much more comfort for less money. There is also the sharing of your awe. I agree with what you’re saying here Julio. I’m also a travel foodie, so I absolutely understand you. The accommodation for a room split by two people is cheaper than 2 dorm beds so it’s much cheaper to travel with someone. Im travelling solo for the first time right now and lovvvviiinnnggg it. Couldnt agree more with everything you said! That’s so wonderful! Keep it up! I’m totally yours and Oscar Wilde’s opinion. The quote is perfect. And I really think that everyone should try to travel alone as he said, it’s important to be able to be alone. Just yesterday I talked to a friend who wants to hike the Camino and she said the first reaction she almost always receives is: “And you want to do it alone?” “Didn’t you find anyone to do it with you?” and we were just discussing the same topic. I mean you hike for 6 weeks, I think that’s the toughest thing to do with another person. you need the same pace, you share all ups and downs, I mean it can help at times, but 6 weeks 24/7? This hike is supposed to be done for reflections and isn’t that best done when having time for yourself? Of course he was right. Everyone should at least try to be alone or travel solo! All these points are so true, Agness. There’s really nothing quite as empowering as travelling by yourself. It’s something I definitely want to do more of in the coming years. I made the two biggest moves in my life solo (moving to Australia and Canada) and I grew as a person so much from doing these things, especially as I did them alone. The thing about travelling solo is, I tend to find you don’t spend much time solo! It’s so easy to meet people to travel with on the road, so people shouldn’t worry about feeling lonely. Charlie, thank you for sharing your story and experience. Moving to Australia and Canada must have been a huge move for you. Well done!! LOL! Haven’t heard of that :). There are definitely pros and cons to being a solo traveler. I often like to do what I want, when I want. You don’t have to abide by anyone’s rules. And it’s so true that you learn so much about yourself! This is WONDERFUL! I completely agree. I used to only travel solo (I didn’t want to risk ruining my trip by going with someone who might argue/spend too much/be annoying). Thankfully, my husband travels incredibly well. He’s just as cheap as me and we have basically all the same interests, so we’ve never fought while travelling (mostly because he just lets me run the show and tags along). But every once and a while, I like to go on small trips by myself. It’s very relaxing and fun. Good for you for writing this!!! I’m so glad you had a chance to travel solo! You are so lucky that your husband is such a great travel companion. Keep it up!! I can only agree with everything you have written, Agness and I love the two quotes. Even though I have a boyfriend for many years, I need to travel on my own at least once a year to clear my mind and to spend alone outside of my comfort zone. I started travelling solo more than 20 years ago and without this “Me-Time” every once in a while I would probably be a totally different person. I agree with every single one of these things. I don’t think I would choose to do another 4 1/2 month trip unless I was single and unattached, but I will definitely continue to travel solo for shorter periods of time. I love the freedom that it gives you! I loooove travelling by myself. No fights over the AC, you can do whatever you want. You meet more new people. Etc etc. Everyone should do it at least once in their lifetime. I’m about to go on my first solo trip (a road trip from Ohio to Washington), and I can’t wait! Sure, it’ll be a bit nerve-wracking since I’m moving, and not just vacationing…but the thought of having 4 whole days to myself to do what I want sounds refreshing! What a great news! Enjoy it Heather! Fab post, I am going to start planning my next solo adventure. Travelling solo sounds great if you look at it the right way. I’ve never really travelled solo, not out of choice, just out of circumstance, but I’d be really keen to do so (especially in Europe). I think you can learn a lot from travelling solo. The only drawback I really see is that I love hiking (as does my partner) but sometimes we hike in really quite dangerous places, and I’m not a very good climber, so doing it on my own wouldn’t be that safe and I wouldn’t be that confident to do it either. I couldn’t agree more with this! My partner and I make a point of travelling solo once every so often just to experience some things alone. Sometimes it’s nice to just have one agenda and one person’s wants to fulfil and it opens some amazing opportunities :). The drama, so true! You have to be really lucky to find people who share a similar travel attitude, which is one of the reasons why I like traveling alone. These are all reasons why I like travelling alone! Nice post! I definitely enjoy solo travel, and agree it’s easy to meet people at hostels, or when out and about. It’s too easy to form a “bubble” and just stick with your travel partner, and miss out on a lot of opportunities. I’m gearing up for a solo trip to SE Asia around January! Meeting different people in hostels is the best thing ever! Indeed, we can do all of these when traveling alone. I generally travel alone, but I often find company while on the trip. Traveling solo helps me follow my own instinct, my wishes, building the itinerary that I wish. Both in time and space, I feel total flexibility. “No drama”? Well, that’s generally true, but in my case I rarely do bite my nails on what I could have done differently. Love your photo on freedom, peace, flexibility. Traveling alone feels so relaxing and I often just sit down an relax. It’s so enjoyable, I almost never feel that good back home. I guess solo travel sounds simple and lonely, but in fact it’s a lot more colourful and complex than the boring typical organized group tourism. I have always traveled solo and I LOVE IT! Solo travels are so rewarding!! Most of our daily experience is confined to a finite, predictable pattern of places, people, and things. Pushing beyond our norm reveals a world is far more wonderful and unexpected than we realize. its so great to came across your post as i am going to start my first solo journey in September!Honestly i am kind of being anxious since i made up this decision, that’s why i am trying to search some post about other people the solo travel experience, trying to gain more courage from them,lol~ Anyway, i have book the air ticket and hotel,hope everything go well! Thank you so much for writing this and sharing some of your experiences. I mostly do backpacking out in the wilderness and national parks. Reading this article helped me to make the connection that travel backpacking is not much more different than what i am already doing in the wilderness. Your article has effectively inspired me to think of planning my own solo trip to another country or even to another part of my own country. I look forward to reading more of your stories and articles. Thank you again. Snake. What the hell did that taste like? I can see photos relating to the Philippines! Yay! I love your post, very informative. Travelling may cost a bit up front, but the benefits from taking a solo trip at least once in your life could actually end up making you money in the long run. Many of the benefits of travelling can help further your career and end up in a pay raise. I travel alone all the time. It’s awesome to be able to do what you want to do when you want to do it. When I travel with others, I often find myself altering my plans in order to be more accommodating to them. I love the freedom associated with being alone!!!! 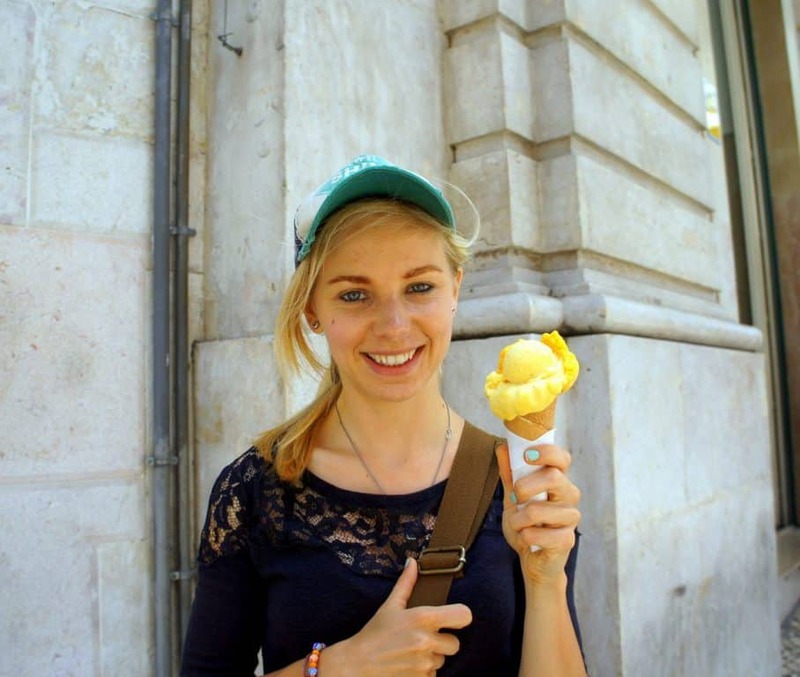 Great post!Once you start traveling solo no one can stop you. I am going to share this with my friends who are afraid of traveling solo. Thanks a lot for sharing such motivating post. I actually don’t see any other way of travelling. Some people think it’s crazy for whatever reason, but it’s very liberating as it mentions in the article. You’re forced to rely on your soul instincts as opposed to relying on your comfort zone which can get dull real quick. You meet people otherwise you never would’ve met, and it all adds to the adventure of new experiences. But then again, I’m a very independent person, so I wouldn’t expect everyone to enjoy the luxuries of personal time. Friendships are nice, but the space and time to do whatever YOU want is my definition of TRUE freedom.. Something I feel that people lack these days. I Love it! I guess I need to try solo travel to improve myself. I am too childish for 20 years old girl. Could someone help me, I have a problem about managing my budget. I have worked for 2 years but I still cannot manage my daily budget. It isn’t because I spend my money for hangout, but it because I want my family happy. I never want to see them bored staying home all day, so I take them to a place or cook something. 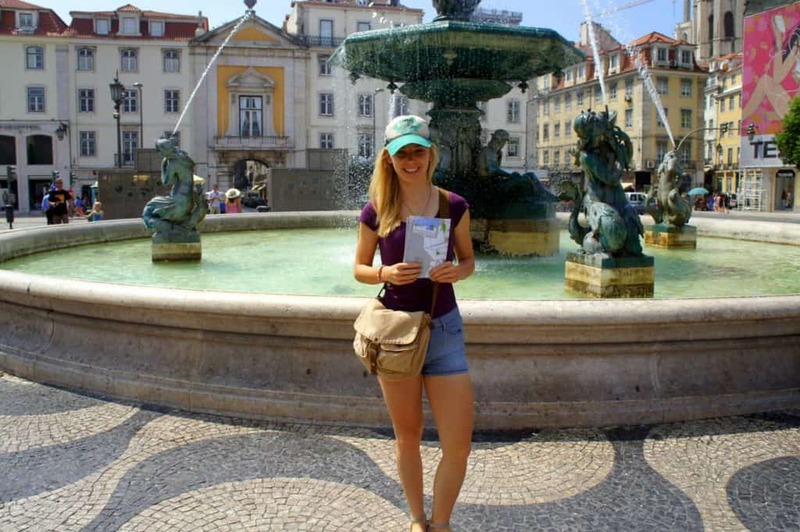 The question is what should I do to save money to start my journey to be a solo traveler? An article worth reading. Thanks for sharing your thoughts. Hope it will help me in my solo trip. You know what, when I take my first solo hiking, “It is better to travel alone than with a bad companion.” your words was true! and this tips was so damn right. when you come to Indonesia again? there still a lot of beach you need to explore, not only a Bali. cheers from Java. Although I am not a people person, I do love having the company of at least one loved one. That way, I don’t always feel lonely. But, I think it would be so much fun to go on a vacation alone. I can discover myself, like you say. I can learn to be alone and still have a good time. Plus, I can learn what I actually love to do, rather than trying to please someone else! These are all great points! I’ll have to think about going on a solo vacation! I tried travel solo many times, actually it’s my favorite kind, as you wrote in benefits I met new friends, I discovered myself, saved money :), ……., I feel i’m free, I stopped travel with other, thank you very much for the awesome post! You’re welcome, Hani! Thanks for sharing your views and why you like travelling solo! It was a great post, all my friends ask me how do travel alone or don’t you get bored? When ever i get stressed and when i want to get out of my regular life i prefer travelling. Even though we have lot of problems in our life, while we are in a trip no problem comes to our mind. After i come back from my trip i feel like refreshed or reset my mind. Even i advice people to travel to an unknown place when you are stressed. In planned trips there won’t be any new or adventures , i just book my round trip tickets and i won’t book any hotels i always plan the trip randomly as where to go and where to stay? I can say confidently that travelling to new place is my stress buster. Thanks for the post.